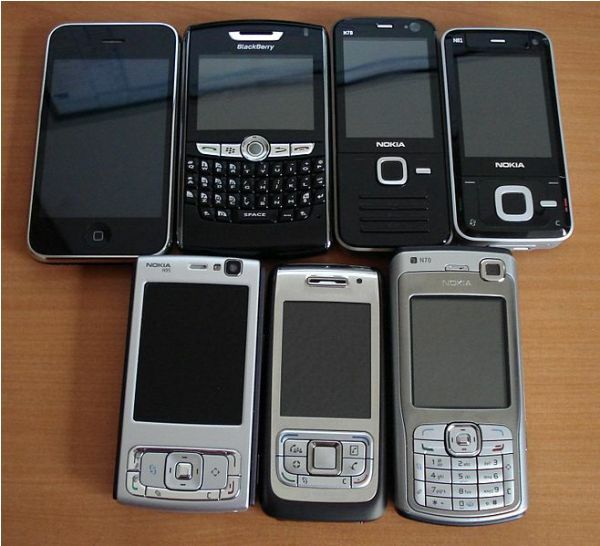 Modern smartphones have become very capable cameras that they have been often attributed to the death of the demand for digital cameras. From the VGA-resolution-shooting lenses on mobile phones of yesteryears’, we now have smartphones that are already capable of shooting up to 40 MP pictures. There’s even a rumor of one coming in at 50 MP. But let’s not focus on the increasing resolutions. That’s easily achievable with relatively old technologies. As we mentioned before, the higher pixel count race is simply overdoing it. They key to better photos is not just in the number of pixels that can be crammed in an image. There are many other factors to take into account. That’s why it’s great to see two new camera technologies that claim to yield better image quality. With the introduction of ISOCELL and dual lens camera tech, digicams makers may finally have to quite denying that their era is over. ISOCELL is a new camera technology that debuted on the latest smartphone flagship from Samsung, the Galaxy S5. It is intended to improve light sensitivity and color fidelity for cameras, especially for those that need to be fitted in relatively thin bodies like the ones used in smartphones. Developed by Samsung, it is touted as an evolution in back illuminated sensors or BIS. 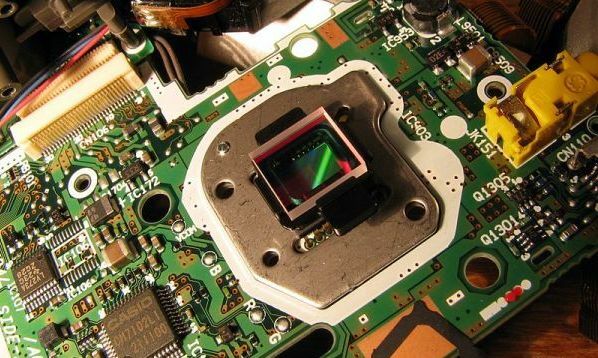 The BIS camera tech first commercialized by Sony helped improve the efficiency of camera sensors. 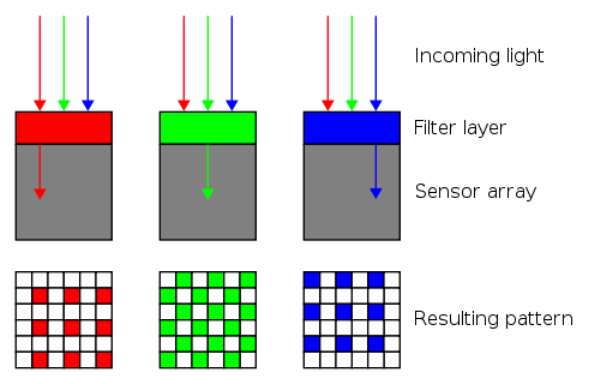 It managed to do this by changing the traditional arrangement (front-illuminated structure) of the on-chip lens, color filter, metal wiring, and light receiving surface or substrate. With BIS or back-illuminated sensor tech, the light receiving surface comes before the metal wiring, making the sensor more light sensitive. Crosstalk refers to the appearance of unwanted light signals on pixels. This happens because the light that should go to certain photodiodes spreads to other photodiodes, mainly because the photodiodes are unable to contain the light they are receiving. This leads to photos that are noisier, with small dynamic range and blown-out highlights. This is the major concern that the ISOCELL camera technology tries to address. ISOCELL follows the same arrangement of BIS sensors. The difference is that it puts metal barriers between photodiodes to prevent crosstalk or the spreading of signals to unintended photodiodes. Crosstalk may not be fully eliminated but it should at least be considerably minimized to produce photos with high dynamic range. 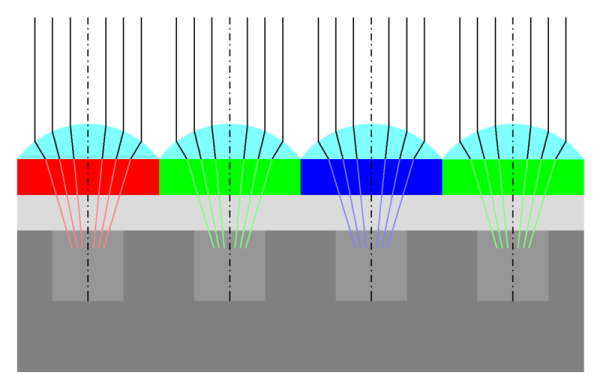 The “ISO” in ISOCELL basically refers to the technique of isolating light signals that should go to where they should go. Proponents of this technology claim that ISOCELL sensors can increase the capacity of photodiodes by around 30%. This does not necessarily mean a 30% increase on image quality. It only guarantees improvement in color fidelity, the reduction of blown out highlights, and less noisy photos in low light. Developed by Corephotonics, dual-lens camera tech is, as what the name implies, a camera technology that involves the use of two lenses and sensors. This camera was introduced and demonstrated at the Mobile World Congress 2014 in Barcelona. There have been rumors that it will be integrated in the latest HTC smartphone although Corephotonics denies it, probably because HTC does not want information about its newest flagship to be leaked out at the moment. So what does a pair of lenses do to improve the camera on smartphones? Two things: up to 5x optical zooming without moving parts and better low light performance. It may not be correct to call it optical zooming since what the camera actually does is to digitally combine information from two lenses to come up with more details. Hence, it’s akin to digital zooming, only made less blurry or better. The dual lens camera developed by Corephotonics makes use of a fixed focus telephoto lens with a narrow field of view and a normal wide angle lens. Each of these lenses has its own sensor. Basically, it’s actually two cameras, not just two lenses. The images taken by both lenses are combined in a single image that packs more details. Qualcomm is involved in the development of this camera tech as it supplies the Snapdragon 800 processor that carries the ability to simultaneously process signals from two cameras. her is responsible for color rendering. This setup makes use of Sony’s BIS camera sensors. It is expected to be in the market as early as this year since the materials are readily available. However, it will only come to devices that sport the Snapdragon 800 processor or the more recent Qualcomm processors. These camera technologies are mainly intended for the smartphone market, and maybe for some smaller tablets or phablets. They are unlikely to produce images that can match the quality DSLRs are capable of churning out. Nevertheless, they are a big step up from the megapixel wars and are bound to deliver more palpable results. With the ISOCELL and dual-lens camera technologies, the age of digicams becoming passe is getting clearer and sharper. We just can’t wait to see the actual output in the first commercially available devices that will carry these new camera technologies.